On the evening of April 5, 2016, BET Networks aired the most recent iteration of Black Girls Rock! With its many celebrants — inclusive of Gladys Knight, Shonda Rhimes, and the #BlackLivesMatter co-creators Patrisse Cullors, Alicia Garza, and Opal Tometi — there was a moment that, unbeknownst to the average viewer, signalled both an ostensible homage to and a foreshadowing of an untimely death. With the death of Maurice White on February 3, 2016, the Black Girls Rock taping united Marsha Ambrosius, Imani Uzuri, and Corinne Bailey Rae to perform the Earth, Wind & Fire's standard “I’ll Write a Song for You”. 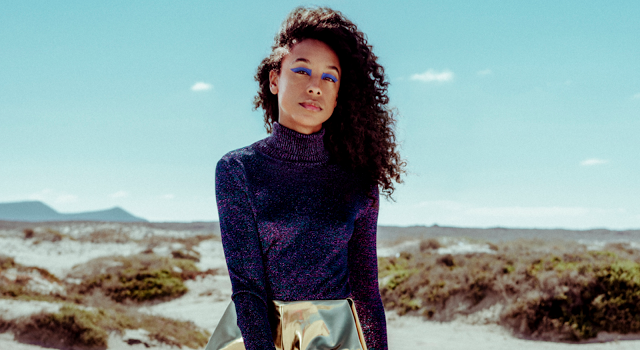 No one could have known that within 16 days of the broadcast, Prince would die on April 21, and roughly three weeks later on May 13, Corinne Bailey Rae would release her third studio album The Heart Speaks in Whispers. Living in the wake of Prince, really in a post-Prince world, Rae’s album becomes an accounting of Prince, her friend, living on in perpetuity, and the prophecy of a whispering heart. What makes the album cool, in what I consider a this-is-for-the-cool-in-you manner, is its nod to inter-generationality, and that it is an album made for the matured mind - the adult-at-heart but who is not self-conscious of that fact. With feature, production, and writing credits given to the likes of KING, Valerie Simpson (“Do You Ever Think of Me?”), Esperanza Spalding (“Green Aphrodisiac”), and Moses Sumney (“Caramel”), what the listener recognizes is that the album, just based on the aforementioned listing, has a sound that is difficult to capture precisely because the musicians on the album are, for lack of a more limiting term, free. And this freedom weaves itself throughout the project. The Valerie Simpson co-written track sounds as if it interpolates on Curtis Mayfield’s “The Makings of You”; the KING tracks solidify their confirmation as protégés of Prince in that he has imparted upon them the effect of affect, auricularly speaking, such that when you listen to the album, you can pick out with ear-point accuracy which songs they have touched; Spalding’s background singing points to the sonic d+evolution of Emily, and perhaps Cora, formerly known as Corinne; and Sumney’s track is mellifluous, even though it does not reference honey. At the same time, the album is a departure from a rather prototypical music industry frame. This is to say, artists often wait for the second or third album to “experiment”. While Rae’s body of work thus far has offered solid projects to the general music catalogue, this album feels and sounds like a return to her self-titled LP but more seasoned. Maybe it is the case that The Sea, her second album, was the experiment, as she somehow found a way to produce art after wading through personal loss. Emerging from the water as a fully dressed woman, no different than Beloved, Rae stunningly resounds in the liner notes of The Sea, “God is a mystery and a healer.” That album is indeed a mystery, but listeners should hear with gratitude this third album instalment from Rae precisely because a whispering heart likely symbolizes the healing that has occurred and continues—thanks be to God . . . The adultness of the album is in its ability to heal insofar as Rae is not working in excess of her vocal abilities, nor does her approach to the records—vocally, emotively—take for granted the abilities of others she has invited to the project. The album is really a gesture to other hearts to begin the work of the utterance, even as whispered, after experiencing the mysterious. This, in turn, brings me back to the moment of that April evening on Black Girls Rock! Who would have known that a mystery would have emerged again for Rae in the friend she would soon lose a week and two days after the cable broadcast? The coincidence of her performance of that song, on that night, for that event, post-Maurice White, seems like a portent of how God may in fact be music. The mystery of that song’s presentation that night startles me even now because Rae’s album seems like it could in fact be a set of songs “for” him. Then again, if the mystery catalyzes the healing, and Rae’s heart is indeed the one speaking in whispers, then perhaps what the album signifies is not only a set of written songs “for” him, and you, but also that Corinne, à la Steph Curry, is back.